US-based footwear behemoth DSW Inc. has changed its corporate name amid a strategy shift that will see new innovations as well as new stores open across Canada. We spoke with the company’s Canadian president about a three-year plan for growth in the Canadian market. As of March 19th, DSW Inc. (an abbreviation of ’Designer Shoe Warehouse’) has changed its name to ‘Designer Brands Inc.’ amid a shift reflective of the company’s recent acquisition of the Camuto Group, as well as plans to expand its Shoe Warehouse and The Shoe Company nameplates in Canada. In conjunction with its corporate name change, Designer Brands will change the Company’s ticker symbol from “DSW” to “DBI,” effective at the start of trading on April 2, 2019, which has been approved by the New York Stock Exchange. Mary Turner, president of the company’s Canadian division, explained how Designer Brands Inc. has big plans to grow its off-price operations in Canada by opening new stores strategically, while also launching new rewards programs, an enhanced e-commerce site, and the eventual introduction of in-store experiences such as nail bars, custom insoles, shoe repair and other initiatives. Designer Brands Inc. is already the third largest retailer in Canada, noted Ms. Turner, and is the second-largest growing retailer in Canada. The company has more market share in the women’s footwear category than any retailer in Canada, and it ranks third for sales of children’s footwear (which is now available in all of DSW’s Canadian units). Growth has been incremental, she explained, by gaining market share organically over the past several years. DSW entered the Canadian market in 2014 when it acquired a 49.2% stake in Town Shoes Inc., which operated the now-shuttered Town Shoes chain of stores as well as The Shoe Company and Shoe Warehouse banners. Plans are in place over the next three years to open approximately 50 more stores in Canada, which could include about 20 large-format DSW Designer Shoes stores and 30 or so locations under the company’s Shoe Warehouse and The Shoe Company banners. 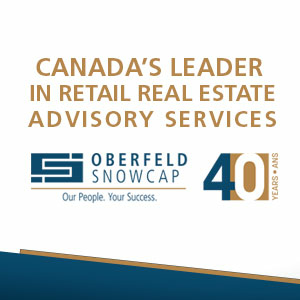 Real estate strategies will be different for the larger-format and smaller store concepts. Large-format DSW stores will target markets exceeding 400,000 people with its storefronts that often exceed 20,000 square feet each. The optimal size for The Shoe Company and Shoe Warehouse stores will be approximately 4,000 square feet each, as a comparison. Designer Brands Inc. will look to open more of its large-format DSW stores in Canada, which will include an expansion into the Quebec market for the first time. There are currently no stores for any of Designer Brands Inc. in that province, and the company is now able to make the move after upgrading its business systems including POS systems and its digital platforms. “We now have a roadmap for Quebec,” after entering Canada almost five years ago, she said. Quebec could also be the target for Shoe Warehouse and The Shoe Company nameplates, which Designer Brands Inc. will look to open in secondary markets with less than 50,000 residents. 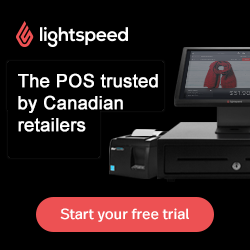 The same strategy will be rolled out Canada-wide as the company strategically opens stores to further penetrate the Canadian market with the smaller-format stores. The company’s Shoe Warehouse and The Shoe company units act as a “last mile solution” for the footwear retailer, Ms. Turner explained, by acting as distribution points for click-and-collect and online orders while serving markets that might not otherwise support a larger DSW storefront. Designer Brands Inc. operates 27 large-format DSW stores and 112 locations for The Shoe Company and Shoe Warehouse in Canada. In terms of other markets to further penetrate, Ms. Turner noted that there is considerable opportunity to open more store locations in British Columbia. The province currently has just three large-format DSW stores, with two of those being in the Vancouver/Lower Mainland and one on Vancouver Island in Victoria. The Toronto market is also a target for more stores, with the potential in Quebec being “huge” according to Ms. Turner. Quebec has more than 8.4-million residents with a population known to like bargains. The company’s store locations include a mix of shopping centre, standalone and big-box centre units. Finding enough space for a large-format DSW store in downtown Toronto could be a challenge, for example, and finding the right space would require “the numbers to work” she said. Smaller storefronts under The Shoe Company and Shoe Warehouse banners could further penetrate inner-city areas if large retail floor plates are a challenge to obtain. 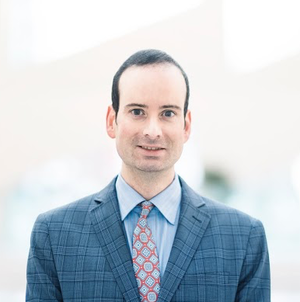 In April of this year, Designer Brands Inc. will relaunch its web platform in Canada in conjunction with its US platform, which Ms. Turner said would result in “an enhanced experience on the website” where consumers will be able to use loyalty certificates and redeem gift cards online for the first time. The goal is for an easier digital interaction with the brand, which includes e-commerce as well as an order online/pick-up in store model. Two new loyalty programs will be introduced into the Canadian market, including a DSW VIP program in the second quarter of this year, similar to that which has been well received in the United States. Ms. Turner said that the customer “will be hearing from us more” as Designer Brands Inc. increases its marketing by 40%. 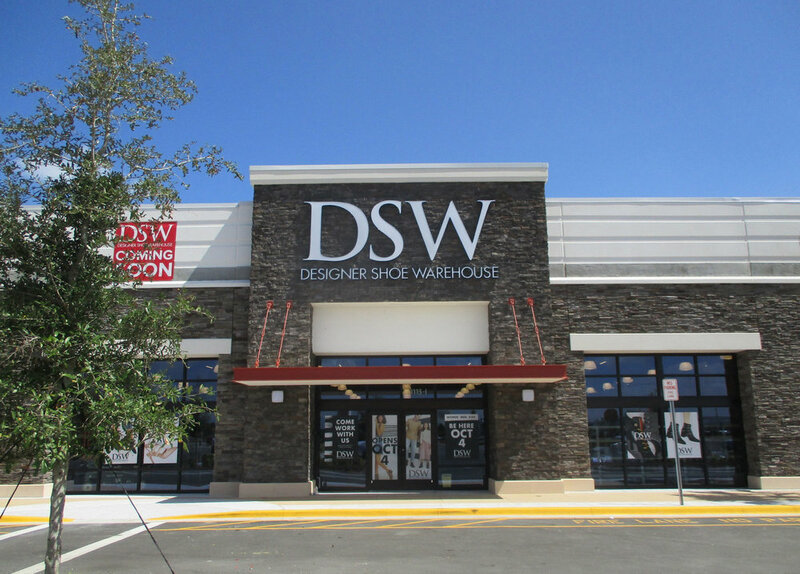 DSW stores in the United States have been adding unique innovations such as nail bars, custom insoles, shoe repair and a ‘shoe’ concierge, while the company continues to seek out opportunities to enhance the overall consumer experience. Such additions are expected to be seen in some of DSW’s Canadian units as Designer Brands Inc. rolls out its three year expansion plan. Nail bars have brought more Millennial shoppers to DSW’s stores, she explained, and the company now has an ‘innovation team’ that is looking to further enhance the store experience with additions that could be similar to Aritzia’s adding coffee bars to its stores. In April, the company will test a shoe care service at its DSW store in Vaughan Mills in suburban Toronto. Designer Brands Inc. will also test The Shoe Company smaller-format stores in the United States, said Ms. Turner, noting possibilities for further market penetration where larger-format DSW stores might otherwise not have a big enough consumer base. Ms. Turner also discussed the closure of the Town Shoes chain of stores, which saw its remaining units shutter in January of this year. Unlike Designer Brands Inc.’s other three Canadian nameplates, the 38-store Town Shoes chain was the only one in Canada that operated on a full-price model. Shutting Town Shoes was a “very hard decision emotionally, given its history,” Ms. Turner explained, as off-price retail is Designer Brands Inc.’s “core competency”. “So many vendors are going direct-to-consumer while at the same time, retailers such as Nordstrom entered the market,” she said, noting that the retail landscape changed to a point where the Town Shoes chain wasn’t financially viable. Moving forward, the off-price model will be utilized by Designer Brands Inc., with Ms. Turner saying “everybody loves a deal”. It’s been a challenging time for footwear retail in Canada as new entrants enter the market, and others shutter. Last year, Rockport and Nine West shuttered their storefronts in Canada, and Payless ShoeSource announced last month that it would shutter all 248 Canadian units as well as more than 2,000 stores in the US. It all comes at a time when new retailers enter the market at a wide range of price-points, and while others expand. TJX banners Winners and Marshalls offer expansive assortments of footwear in their stores, as does Saks OFF 5TH and Nordstrom Rack.